As wine maps go, this isn’t the jolliest. 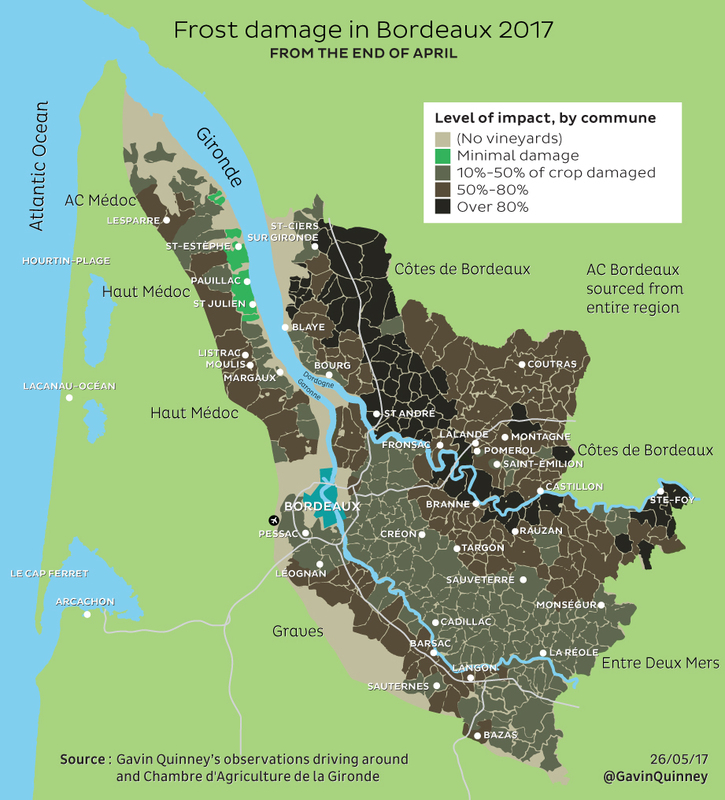 The overnight frosts that swept through Bordeaux at the end of April 2017 were devastating for some vineyards but not for others, so – given the conflicting reports about price rises and chateaux ’holding back stock’ – I thought a map showing the levels of impact in different areas would help provide a clearer picture. As I mentioned a week after the worst of the frosts, we lost about 50% of our potential harvest at Château Bauduc (near Créon on the map), comprising most of the lower slopes of our 25-hectare/63-acre vineyard. Chateau Bauduc. Contrast of the top of the hill v lower slopes, on same day. That’s bad enough, but it was worse elsewhere: I drive our 13 year-old Tom to his college in Libourne most mornings, and many of his schoolmates come from wine-growing families – two in the Entre Deux Mers, another in Montagne St-Emilion, and others in Fronsac and Saint Emilion. All have vineyards which have lost close to 100%. So, using ’provisional’ data per commune from the Chambre d’Agriculture de la Gironde as a base to work off, I’ve spent a few mornings after the school run and a few evenings driving around Bordeaux mapping out the good, bad and the seriously ugly. I’ve used the Chambre d’Agriculture’s assessment by commune and their gradings (eg ’50-80% loss’) but I’ve made several adjustments based on what I’ve seen. Note that when an area is shown as, for example, 10%-50% loss, that’s for the commune as a whole. It does not mean that everyone has been hit – that’s just an average. It could well be that there are some untouched zones while neighbouring vineyards have taken a significant hit. I should point out that the map doesn’t really demonstrate the number or concentration of vineyards in each area, so it might be useful to refer to the 2016 production figures of the different sub-regions as a guide. Most of the enormous volume of AC Bordeaux and Bordeaux Supérieur red, for example, comes from the ’Entre Deux Mers’ area between the Dordogne and Garonne rivers. 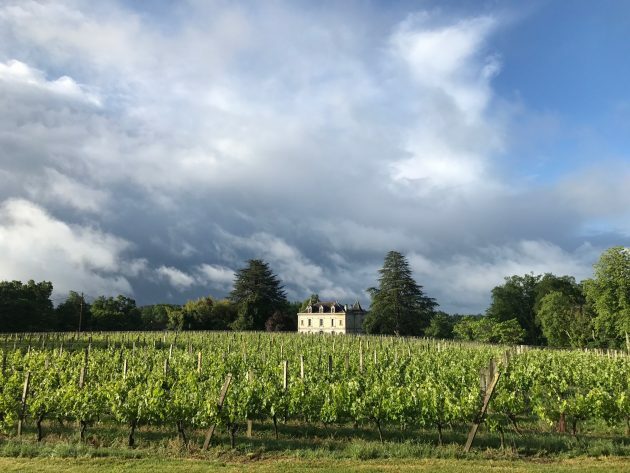 Here, as with many parts of Bordeaux, you can drive past lush, verdant vineyards and just a short while later, you might come across a landscape of barren, wasted stumps with only a few sprigs of green breaking through. If you’ve ever thought about investing in a vineyard, a trip to Bordeaux this year might prove be a salutary experience. It would be perfectly reasonable to assume that if 50%-70% of vineyards of Bordeaux have been hit, the famous names have been similarly impacted. This isn’t the case, however. Arguably, 80% of the top 150 Bordeaux chateaux escaped as far as their ’Grand Vin’ or principal ’Chateau’ wine is concerned. In fact, from a market perspective, if you take the combined value of the annual sales of these 150 estates, I’d guess that the frost affected less than 10% of those sales – all other things being equal. That’s down to the price of the first wines and the significant volume produced by the (largely unblemished) Crus Classés in the Médoc. 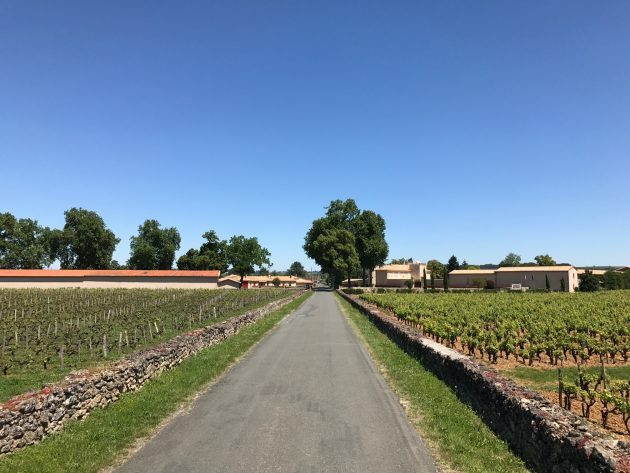 That’s not to dismiss the considerable burden faced by the unlucky ones – especially in some corners of St-Emilion – but, overall, the leading chateaux haven’t suffered in line with the rest of the region. 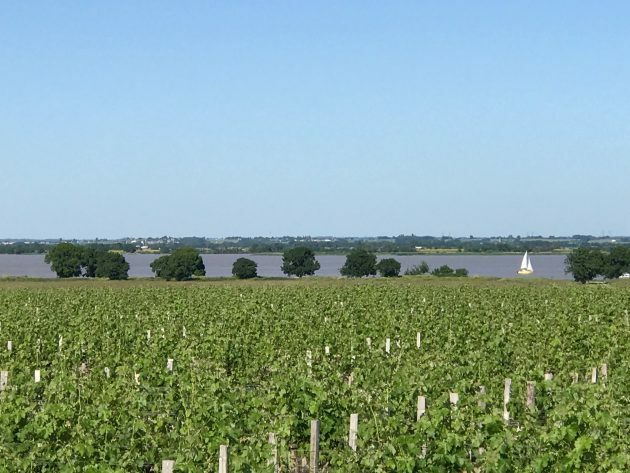 It’s been widely reported in the mainstream media (in The Times on Saturday, for example) that there’ll be a fall in production from an average of 540 million litres to around 300 million litres for Bordeaux in 2017. That’s not an unreasonable estimate although the flowering, which is pretty crucial to determining the size of the crop even in a good year, is taking place now. Let’s see how that goes for the vines that escaped the worst of the frost. The contrast with 2016’s generous crop – almost everywhere across Bordeaux – could hardly be more stark. We should be grateful, at least, for three good and fairly plentiful years in 2014, 2015 and 2016. In Saint Julien and Pauillac, there’s a little damage in the inland sector, towards St-Laurent. As you head out of St-Julien towards this part of the Haut-Médoc, where there are a number of Cru Classés, there’s more damage. There’s minimal impact further up the Gironde estuary, beyond St-Estèphe, in both the Haut-Médoc around St-Seurin de Cardonne and then further north into the Médoc apppelation. There’s considerable damage to some inland vineyards in the northerly Médoc appellation. If you drive up the D2 from Bordeaux up through the southern end of the Haut-Médoc into Margaux, you’ll see frost damaged vines. But the worst-hit zones are set back from the main ’route des chateaux’. Many of the top Margaux properties have not been affected but there are some terrible losses of up to 100% amongst some lesser known names. Areas of the Arsac, Soussans and Cantenac communes of Margaux were hit. Likewise, there is significant frost damage to many vineyards in Moulis and Listrac. In Pessac-Léognan, it’s a tale of mixed fortunes, with some vineyards being unaffected, while others have been badly hit. The same is true further south in the Graves. In Sauternes, many of the better vineyards higher up on the hillsides have been largely spared, while those lower down were hit quite badly. Some areas of Barsac have been severely damaged while others – even just across the road – have survived with more vines intact. Contrast one side of the road to the other. This is in Barsac. 24 May. Many of the top estates in St-Emilion and Pomerol avoided any significant damage but it can be a grim picture elsewhere here. 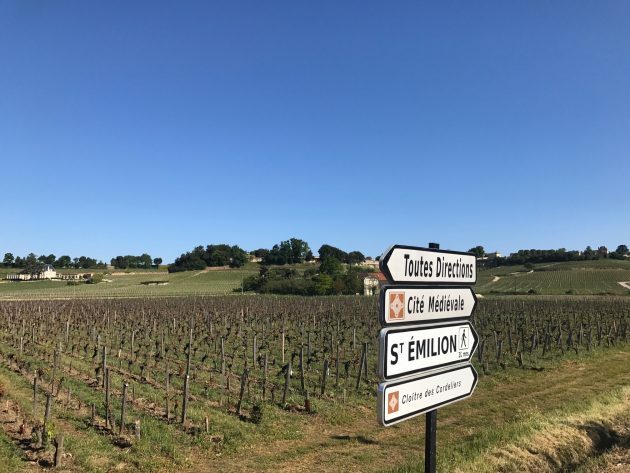 The vineyards up on the limestone plateau and the slopes around the town of St-Emilion, and out towards the Mondot secteur and the Côte Pavie, largely escaped the frost. That includes many of the St-Emilion Premiers Grands Crus Classés. Little difference for frost damaged vines, 3 weeks on, 25 May. 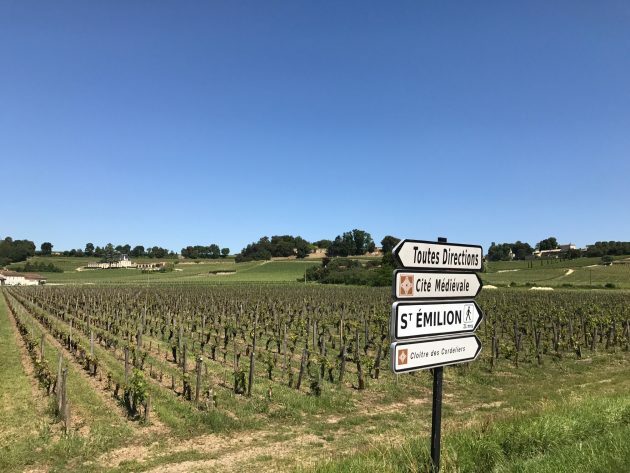 Elsewhere in the huge appellation of St-Emilion there are mixed fortunes, with some faring quite well while numerous growers are facing 100% loss in 2017. Unlike most of the Médoc, some Grands Crus Classés have been horribly hit. There is significant damage in many sectors, whether heading north west from the town towards Pomerol, as in the Corbin and Figeac sectors, or north east towards Puisseguin, or east in the direction of Castillon. Down on the plains, such as around St-Sulpice, the losses are dramatic. As in Saint Emilion, those leading properties in Pomerol – notably, on the plateau – did well. Away from this slightly raised plateau, which is not a huge area, it is, again, a picture of mixed fortunes. Some vineyards on the lower parts of Pomerol have had total frost damage, with bedraggled Merlot vines looking brown and burnt. As you can see from the map, many areas of the Right Bank, to the East of the Gironde and above the Dordogne, took a pasting. It’s by no means all bad, as you can find valleys and hillsides that are untouched, but neighbouring vineyards are not so fortunate. Many of the vineyards of Lalande de Pomerol took a terrible hit. Nearby, up on the hillsides in the satellites of St-Emilion, many vines escaped the frost but others were badly damaged, especially those on slightly lower ground. It’s common to see hillsides of lovely, green rows leading down to frost bitten vines on the valley floor. 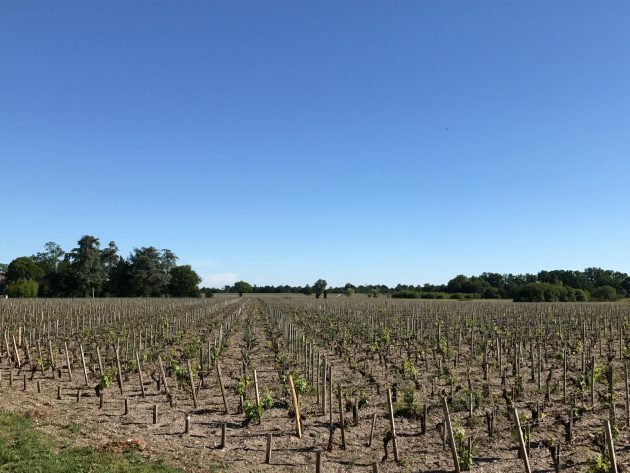 Fronsac is another area of wildly contrasting fortunes, with some very sad scenery indeed and yet, just around the corner, other vineyards that escaped. A loose generalisation is that that those vines on higher ground fared better, but that’s not always the case. Fronsac and the Right Bank: mixed fortunes. 26 May. The somewhat illogically grouped Côtes de Bordeaux appellations stretch for many miles, with the vineyards of Blaye in the north (beyond St-Ciers sur Gironde on the map) to Cadillac in the South, and Castillon in the East. Again, huge contrasts of fortune here. 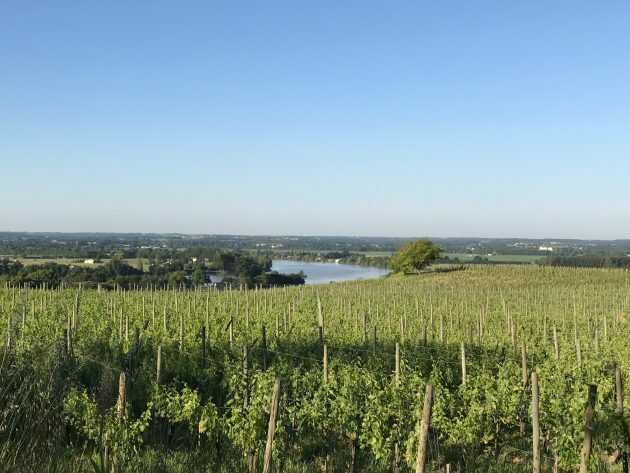 Many of the hillside vineyards of Blaye and the Côtes de Bourg overlooking the Gironde fared quite well, just as those facing them on the Left Bank did. Further inland there are numerous others with almost total losses. It’s a similar scenario towards the Dordogne around Castillon, with vast swathes of frost damaged vines alongside zones that survived intact. The Entre Deux Mers is both a region, responsible for huge volumes of generic AC Bordeaux rouge and Bordeaux Supérieur, and an appellation – for dry whites only. 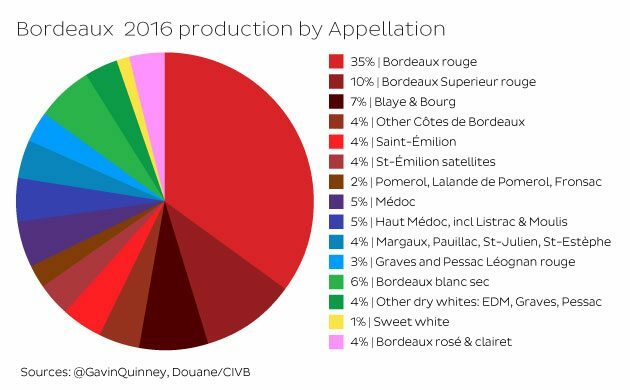 The varying levels of impact across this vast area will probably have the most influence on the Bordeaux output figures for the year. There is generally more damage, as the map shows, in the north west of the Entre Deux Mers region. The contrasts are quite staggering, with some valleys looking green and lush while others – and I mean whole valleys -have been almost completely taken out by the frost. 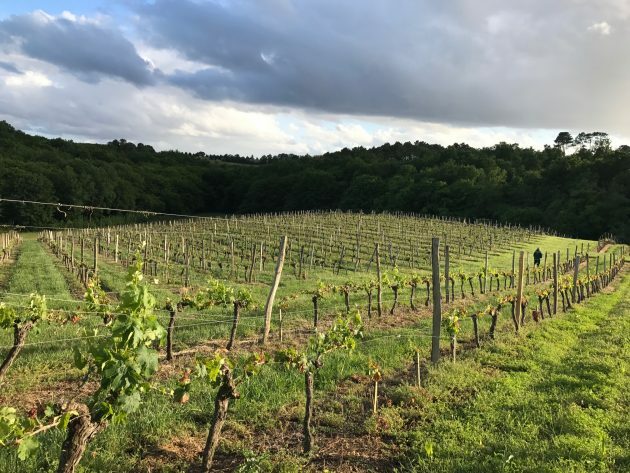 As with almost every sub-region, you could create a detailed map showing the varying levels of impact and the huge contrasts in fortune between neighbouring growers and chateaux. But this is probably more than enough for now.